Reliable insulation under severe weathering conditions. Excellent results under severe weathering conditions. Cavity walls are designed so that the inner leaf takes on the structural and physical requirements (heat storage, sound insulation) while the outer leaf primarily offers weather protection. The thermal insulation between the two leaves ensures a favourable temperature profile inside the wall, producing lower heat losses in winter and avoiding overheating in the summer. 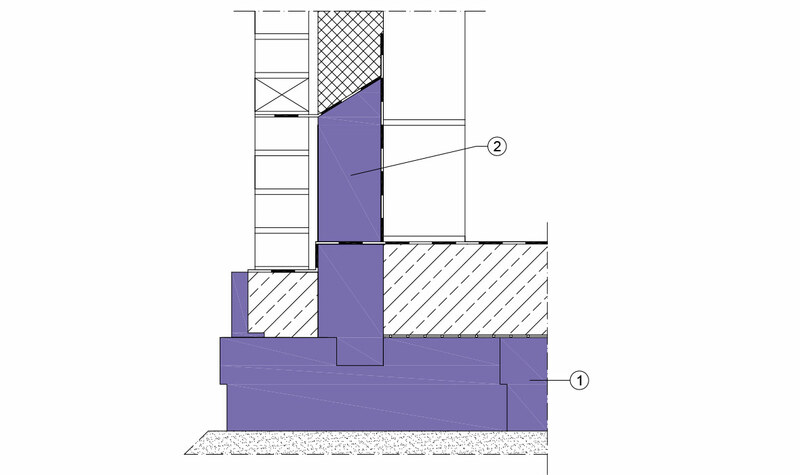 In accordance with DIN 1053, cavity wall systems can be designed with or without an air space in front of the thermal insulation. With core insulation, only insulation materials that satisfy the minimum requirements of DIN 4108-10 standardised application WZ may be used. Used as core insulation, the JACKODUR thermal insulation boards fulfil the minimum requirements of DIN 4108-10 WZ. 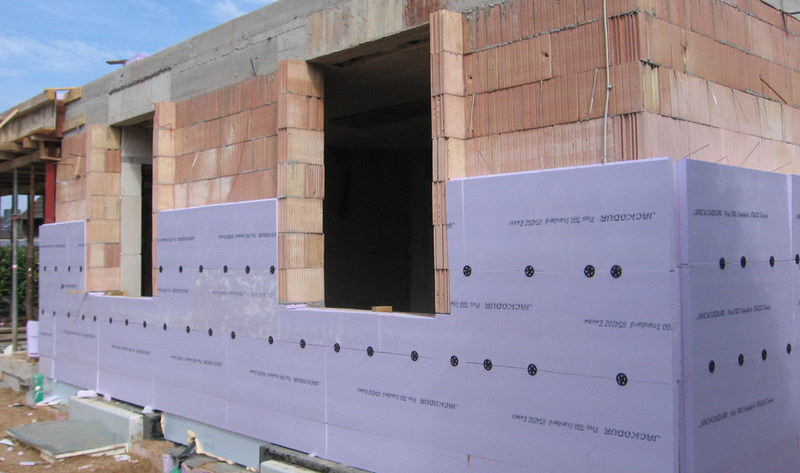 When using JACKODUR insulation boards, care must be taken that the boards are fixed to the inner leaf of the masonry in such a way that an even thickness is ensured. The outer leaf can be erected as close to the insulation layer as the brickwork allows. The foot of the double-leaf brickwork can be specially constructed with JACKODUR Z foil insulation. The bevelled surface ensures moisture is drawn away by the Z foil.